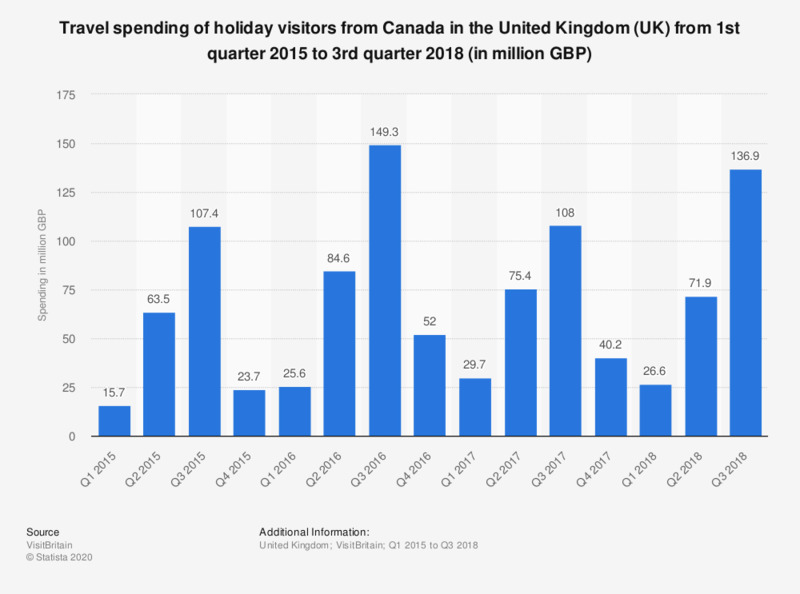 This statistic presents holiday travel spending from Canada in the United Kingdom (UK) from 1st quarter 2015 to 3rd quarter 2018. In 2015, holiday travel spending increased from 15.7 million British pounds between January and March to 107.4 million British pounds between July and September. In the first quarter of 2018 the expenditure on similar visits amounted to around 27 million pounds. It had increased to 137 million by the 3rd quarter.